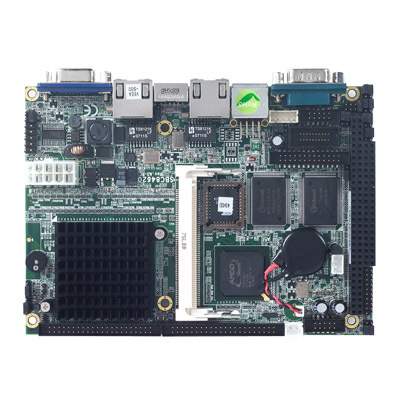 The SBC84620 supports AMD LX800 500MHz processor and full feature I/Os. It is an ideal entry level PC-based embedded platform and be able to be fanless operation for industrial applications. The new integrated graphic controller, 4 COM, 4 USB 2.0 ports and 1GB DDR memory features empower the system value without extra development cost. In the meanwhile, for the expansion interface, the SBC84620 provides PCI with Mini PCI socket and ISA bus through PC/104 interfaces. Also, SBC84620 gives the best TCO (Total-Cost-of-Ownership) for system design due to DDR memory supported.